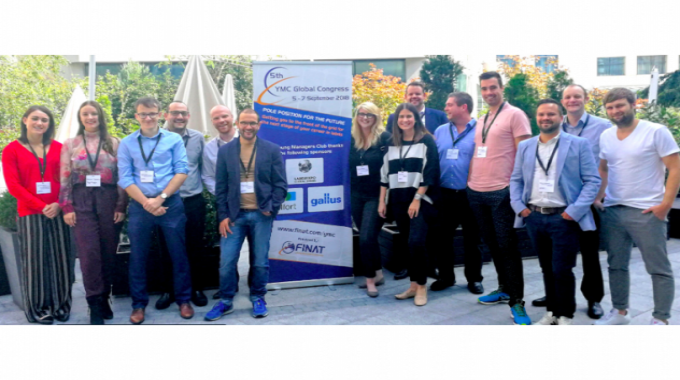 The fifth annual Finat Young Managers Club Congress took place in Bucharest, Romania, in September 2018. Finat’s YMC is dedicated to bringing together the younger generation from management teams across the label industry supply chain, providing networking opportunities and educational conference sessions to equip them with leading-edge thinking on key topics. The event began with a visit to the local headquarters of transport and logistics company DSV Solutions, followed by a networking evening over dinner. The conference the next morning opened with a presentation from Diana Voicu, specialist trainer, human resources consultant and Senior Learning Architect for MMM Consulting, who has worked with a broad base of leading brands across different specialties. Her primary topic was the subject of personal engagement with a manager’s team. ‘What could be missing for me to get more engagement?’ she challenged participants to ask themselves. If a question of infrastructure, workshops, she said, can help to identify shortcomings and the necessary solutions. A lack of established, strong relationships between team members could require a focus on team-building exercises, informal meetings and opportunities for socializing. She highlighted the importance of praise as a managerial tool for fostering a positive atmosphere within a team, even for small achievements. There are three easy steps for a young manager to take, Voicu advised: share your vision (while painting the bigger picture); give your people the right role in the team; and discuss their continuing engagement. He asked: ‘How do you know that the right people will apply for the job?’ The application process must be made as simple as possible, because ‘as an employer, you never get a second chance to make a first impression’. Inventor and businessman Johannes Höfler looked at practical logistics challenges specific to the self-adhesive label industry. Speaking on behalf of major converter Ulrich Etiketten, he highlighted sequence scheduling of similar print jobs in terms of format, number of colors, etc, to optimize efficiencies and save costs. Höfler discussed with participants another crucial topic for label converters: raw materials stock management. Ideas for improved production planning and forecasting are needed for the future, he said, asking whether there are opportunities to instigate a cross-industry converter exchange of substrate materials no longer needed; or whether labelstock suppliers might instigate systems to buy back such materials, at a reduced price. Theo Toering, of Toering Interim Management, then explored the world of consumer products that he supports as a ‘brand surgeon’ – assisting major food companies and other brands to gain commercial competitive advantage. As a marketer with strong commercial sense, he has in-depth experience of the complex pathway that involves successfully establishing, defining or repositioning a brand, in terms of ‘why, how and what’. He emphasized that ‘why’ is the most important question, and answering it will point the way to further action. He illustrated this fact through an exploration of his work with the international Chio Chips snack brand, the most popular snack brand in Romania. ‘The world tastes great’ was the product’s launchpad, providing a different strapline to that of other snacks by encouraging consumers to explore new tastes. Expanding this case history, Toering demonstrated the value of using ‘famous people’ in brand promotion, employing a father and son celebrity team in a ‘young and old’ TV promotion for Chio Chips. However, with TV viewing figures reducing in favor of social media, the latest marketing challenge is to attract the younger generation, so a ‘multilayer’ strategy blending online social media advertising and mainstream TV is a viable solution, he said. Johannes Höfler then returned to the stage, this time in his own right as the acclaimed inventor of, among other things, the Heliovis solar concentrator and the Vocier Zero Crease suitcase. 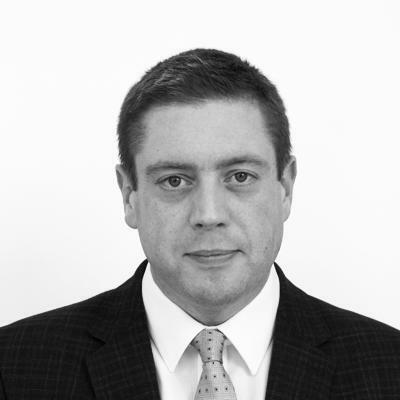 Following on from a popular workshop during the 2016 YMC Congress, he explored ways of innovating in the self-adhesive label industry. Because the purpose of business is to create a customer, as renowned management thinker and writer Peter Drucker wrote, ‘the business enterprise has two – and only two – basic functions: marketing and innovation. Marketing and innovation produce results; all the rest are costs.’ Höfler defined innovation as ‘the necessary adaptation of organizations to societal and technical change’, and drilled down into a typical major business innovation process of research, development and commercialization. Höfler also explored smaller innovations – for example product improvements – which could bring quicker results. Financial break-even could be achieved within two to four years, but with a limited return overall on investment, whereas the ROI on major innovations – although they could take six to ten years to implement – would be ten times greater. The practical modus operandi of best practice innovation was examined in depth, embracing pitchdeck workshops, internal prediction markets, and other management tools as part of the process. Höfler illustrated his thinking with case studies which demonstrated successful innovation – both in terms of creating a redefined business model, and in terms of achieving massive organizational innovation. The next day opened with a storytelling workshop with Antonia Silvaggi of MeltingPro, a group of professional project co-ordinators devoted to personal development of leadership skills. Her workshop focused on developing participants’ self-awareness and their leadership skills, in both a personal and business context. The session took as its starting point the crew of the Starship Enterprise, with delegates asked to decide who they represented within the cast of Star Trek – Captain Kirk? Mr Spock? – and to define their own view of their own personalities. They were then asked to think about delivering this profile successfully in a business context by examining what makes a ‘good story’, and why. ‘Stories’, said Silvaggi, ‘are about information.’ They need to feature, as well as strong characters, an interesting beginning to attract the audience; images – not just facts and figures; good vocabulary; memories; music; emotions; and, of course, an end. The Harry Potter stories are, she said, a good example.